Bloggers are some of the most hard-working people there are. Many of them start blogging on top of a full time job. That means – at the end of their days, they don’t come home and “chill.” They don’t sit on the couch and veg out or relax. These are the people that come home and get right back to work. Their minds are constantly racing and ready to hustle. Bloggers are the early morning risers so that they can hammer out a blog post before they go to their 9-to-5 job. Because of all their hard work, it is so easy to get overwhelmed and exhausted. With little to no down time, burnout is a real threat not only personally, but to the success of the blog. So, how to you deal with burnout, specifically blogging burnout? Here are some tips! Seriously. Say no to anything and everything. Don’t feel obligated to go to every conference, work with every brand that reaches out or respond to every social media comment. It is a difficult thing to learn, but crucial! Instead, set limits for yourself and then say no to anything else. Sometimes, even just taking an hour, a day or a week off from blogging can be completely reinvigorating. Get up and move around, go walk around the block, travel to see a friend or spend a day touring your neighborhood. You will drive yourself nutso if you are burnt out and trying to work on a deadline. So, go take a break, come back and try again. It is often easy for people to get caught up in work. So, stop every once in a while to ask yourself what are your goals. Reevaluate your blog, ask yourself some tough questions and use the answers to give your goals a facelift. This will help you feel fresh and energized to get to blogging again! 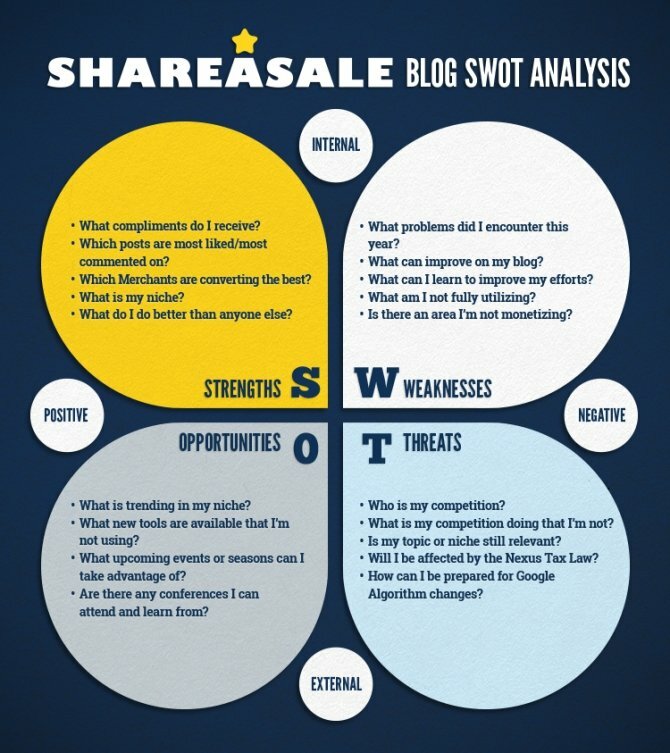 Looking at your SWOT results and conclusions, what can be revamped? Get off your blogging hamster wheel and learn something new. Do something new. Challenge yourself to learn SEO or Illustrator or Google Analytics. Go beyond what you would do on a normal day and work in time to learn. You never know what you will be inspired by! Surround yourself with your support system and people who understand what is going on – and get a support system if you don’t have one! Be honest with these people and tell them that you are struggling. Talk with them and allow them to help you work through the burnout. When you can’t inspire yourself, have someone else do it for you, reminding you why you need to keep going. 6. Persevere & Get Back To It! Don’t sit around for too long or you will never come back from being in a rut. Fight back! Fight against the blogging burnout. Persevere. Take the necessary steps to get refreshed and then get back to it! How are you avoiding burnout?